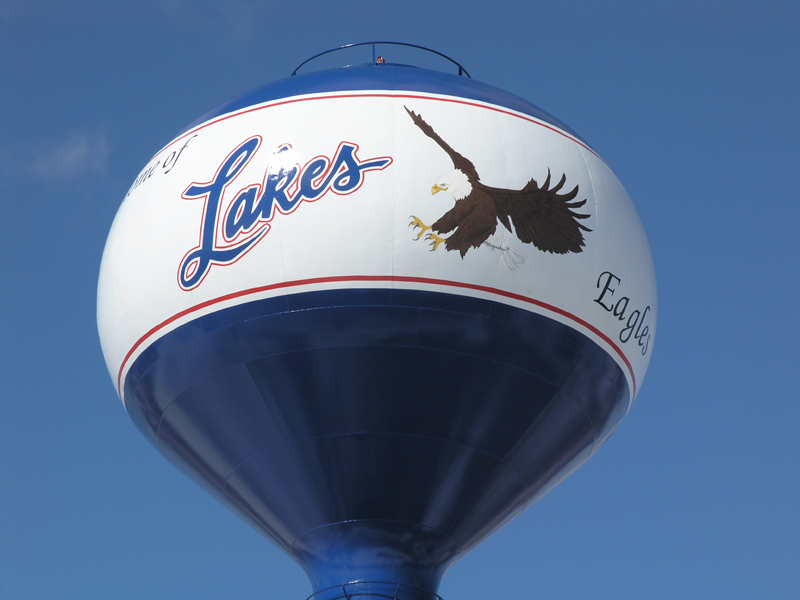 The design for the water tower of the Village of Lake Villa was originally going to be the town’s name in plain block lettering, however efforts from the Lakes Community High School raised money so that their logo and mascot would adorn the tower. To prolong the service life of the tower’s renovation, the owner and contractor ultimately chose Tnemec’s three-stage exterior coating system, which includes Tnemec Series 700 Hydroflon with Lumiflon FEVE resin. Following the existing coating’s removal, the tower’s surface was prepared to SSPC-SP10/NACE No. 3 Commercial Blast Cleaning. To aid in corrosion protection, a zinc-rich urethane primer was airless spray-applied, followed by a roller-applied coat of acrylic polyurethane to provide additional thickness for corrosion resistance. The finish coats of Tnemec’s Series 700 Hydroflon were brush and roller-applied. 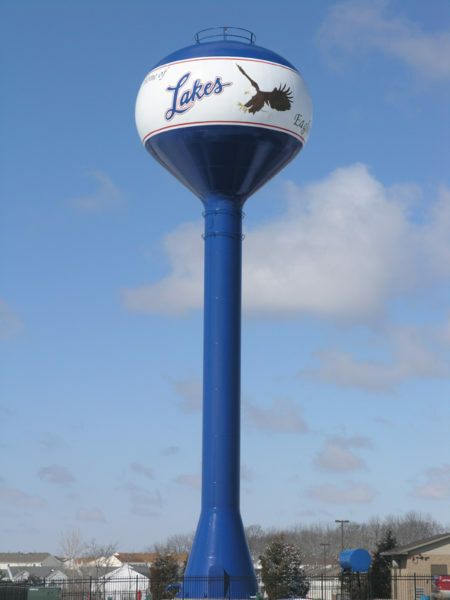 The Lumiflon FEVE resins present in Tnemec’s Series 700 Hydroflon coating help provide outstanding color and gloss retention, and ultraviolet (UV) resistance for many years. FEVE-based coatings can be formulated into a variety of colors, such as the ones used for the tank’s logo, which include Red, Yellow, Burnt Ends and Wild Cattail. LUMIFLON, a product of the Asahi Glass Company, is a solvent-soluble fluoropolymer that offers distinctive advantages to architectural and industrial maintenance markets. LUMIFLON: provides architects and engineers with the option of using brighter colors and higher gloss, allowing gloss values as high as 90; offers the flexibility to be heat cured or cured at ambient temperature, giving fabricators a choice between shop application or application in the field; and can be used successfully on a number of substrates, including steel, aluminum, fiberglass, concrete and polycarbonate for 30 years or more without fading. Images and information courtesy of © Tnemec.